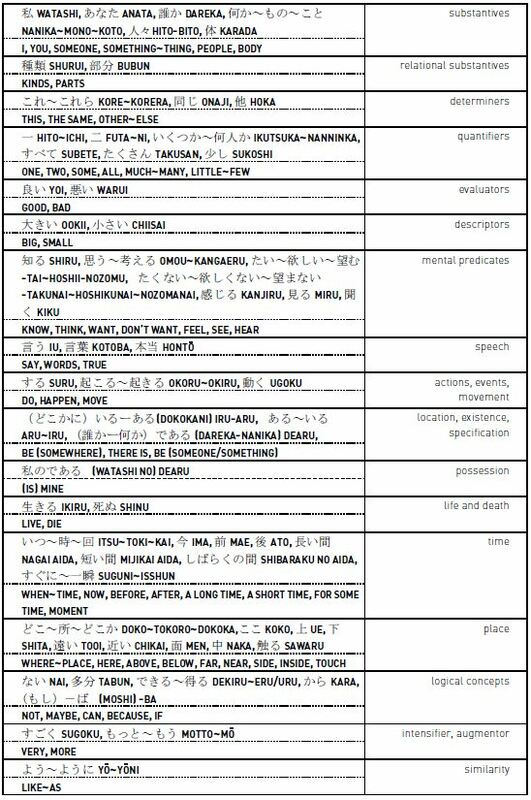 This paper presents a cultural semantic analysis of the Japanese emotion terms ‘haji’ and ‘hazukashii’, made using the methodology of the Natural Semantic Metalanguage (NSM). The paper has three aims: (i) to pinpoint the conceptions of ‘haji’ and ‘hazukashii’ as emotion terms in Japanese language and culture; (ii) to highlight the differences in meaning with their typical English translations ‘shame’ and ‘embarrassing’, and show that ‘haji’ and ‘hazukashii’ reflect two different, culture-specific emotion conceptions; (iii) to emphasise the suitability of NSM for cross-cultural comparisons of emotion terms in different languages and, in turn, for cross-cultural training. The examples adduced are taken from various sources, including a Japanese dictionary, the Kotonoha corpus of Japanese language and Japanese novels. For researchers interested in investigating the relationship between language and culture, the study of emotion terms presents, in my view, both opportunities and challenges. By studying emotion terms, a researcher has the opportunity to lay bare the cultural assumptions underlying emotional expression in a particular society and highlight the differences with other societies. Once the differences are identified, the challenge lies, as I see it, in describing them in terms which are both recognisable as indigenous by the speakers of the investigated languages and understandable by people outside the specific linguaculture being studied. Regrettably, it is often the case in discussions on emotions that English emotion terms are used on the mistaken assumption that they are cross-culturally applicable. In order to compare how speakers of different languages conceive emotions, it is necessary to compare the meanings of the words they use to express what they feel. Very often, differences in the meaning of apparently similar emotion terms reflect culturally and even socially specific emotion conceptions, as well as differences in the cultural salience of a given feeling. One such case is that of the Japanese emotion terms ‘haji’ (恥) and ‘hazukashii’ (恥ずかしい), the objects of the present study. This paper shows that these words denote two different feelings which are salient to Japanese speakers and in Japanese society, and that their meanings differ with respect to the cognitive scenario associated with each feeling. Using the methodology of the Natural Semantic Metalanguage (henceforth NSM, introduced in Section 3), the differences in meaning between these words can be captured clearly using single semantic components phrased in simple and cross-translatable words. At the same time, this paper highlights the differences in meaning and cultural salience between these two Japanese words and their typical English translations, ‘shame’ and ‘embarrassing’. As will be illustrated in Sections 4 and 5, ‘haji’ is usually rendered as ‘shame’ (or ‘ashamed’) and ‘hazukashii’ as ‘embarrassing’. For the purpose of encouraging greater accuracy in translation, I will show that ‘haji’ and ‘hazukashii’ are different in meaning from ‘shame’ and ‘embarrassing’ and that they reflect emotion conceptions specific to Japanese language and cultural contexts. Another point I will make is that emotion terms in English cannot be used as culturally neutral conceptual reference points to describe feelings as conceived in languages other than English. The approach taken to the present analysis draws on Wierzbicka’s (2006; 2014) ideas that English words—including English emotion terms—reflect the views of a specific linguacultural world (which Wierzbicka generalises as “Anglo culture”)1 and therefore cannot be used as a culturally neutral means of translating elements of other cultural worlds. Wierzbicka contends that a truly non-ethnocentric analysis phrased in culturally neutral terms is possible if a suitable methodology is adopted. This perspective informs the basis of NSM, the methodology employed in the present study. Crucially, the aim of this study is not to understand the Japanese conception of ‘shame’ and ‘embarrassing’ as intended in English, but the Japanese conception of ‘haji’ and ‘hazukashii’, which are semantically different terms that, I argue, cannot be accurately translated in English as ‘shame’ and ‘embarrassing’. Ultimately, this paper will show that NSM is an optimal tool for elucidating and comparing the meanings of emotion terms in different languages. I will analyse a number of situations in different novels in original Japanese and English translation in which people feel ‘haji’ or experience a ‘hazukashii’ feeling. Some other examples are taken from the Kotonoha corpus of Japanese and from the Goo Jisho online dictionary of Japanese. In his study on amae (甘え; roughly, ‘emotional dependence’), Japanese psychologist Takeo Doi (1974) discussed the differences in how Japanese and English speakers express their emotions, putting particular emphasis on the role of language. He pointed out that “the typical psychology of a given nation can be learned only through familiarity with its native language” (1974, 15). In other words, to understand how emotions are conceived and expressed in a linguacultural world, one has to start from the words which people in that world generally use to express what they feel. Doi’s point relates to comparative studies conducted by various scholars in psychology and linguistics which show that emotions are expressed and conceived differently in different cultures, and that language is a determinant factor in this. Lutz’s (1985) cross-cultural study on depression, for example, highlighted a number of important differences between the English word ‘depression’ and the word ‘fago’, used by the Ifaluk people of Micronesia. First of all, in the modern scientific frame the contemporary English word ‘depression’ tends to denote a bad feeling that may be caused by an abnormal mental state. Typical characteristics of the ‘depressed ’ person are self-reproach and “the failure to engage in the pursuit of happiness or the love of self that is considered to be the basic and normal goal of persons” (Lutz 1985, 70). For the Ifaluk, the indigenous community that maintains its customary traditions on the island of Yap in the Micronesian chain, the word ‘fago’ denotes a bad feeling resulting from the loss of a relationship with someone, either because this person has died or is away. The real concern in ‘fago’ is the impossibility of replacing the lost relationship. Furthermore, despite denoting a bad feeling, ‘ fago’ is positively evaluated; in Lutz’s words, “to assert one’s fago is to implicitly claim to be a good person” (1985, 85). Another difference between these emotion terms concerns how the bad feeling is overcome. In the world of modern industrialised medicine, the depressed person may be helped by a therapist and, increasingly, prescription drugs, but in the end it is expected that individuals develop the skills to overcome or cope with the feeling by themselves. In the Ifaluk world, by contrast, people give emotional advice to someone who has lost a loved person and encourage them to “stay around other people so as not to dwell on the loss” (Lutz 1985, 71). Clearly, ‘fago’ is not the same as ‘depression’, and their contexts differ. In her study, Lutz has stressed the difficulty of finding an exact equivalent in English for ‘fago’; she glossed ‘fago’ as ‘compassion/love/sadness’, suggesting that the term could be rendered in English as one of these three words depending on the context. But she also specified that “this is not the hypo-emotion of ‘sadness’, or the purely joyful ‘love’ of peers. It is ‘sad love’, ‘sadness for the other’” (1985, 85). As I will discuss in the next sections, it is more accurate to say that the meaning of ‘fago’ contains semantic components which are also part of the meaning of the English terms ‘sadness’, ‘love’ and ‘compassion’. However, the Ifaluk term has its own discrete meaning relative to its community of users and has no single equivalent word in English. Lutz concluded that ‘depression’ is not a universal feeling “because the conceptual equivalent to depression does not exist” in all languages (1985, 85), even though apparently similar emotional conceptions like ‘fago’ may be described in different languages. Similarly, Ye’s (2014) study has emphasised the differences between the Chinese ‘xìng fù’ and its typical English translation, ‘happiness’. Ye has suggested that the term ‘happiness’ denotes a good feeling related to some positive external circumstances and to the possibility of doing certain things as one wishes. In other words, one feels something good when good things are happening as one wants, and when because of this one can do things as one wants. The Chinese ‘xìng fù’, too, denotes a good feeling, but the cognitive scenario associated with it is substantially different from that associated with ‘happiness’. Essentially, ‘xìng fù’ expresses a good feeling originating from the “belief that one is cared for and loved” (2014, 201). It has to do with one’s interpersonal relationships in that it arises from the possibility of enjoying the company of the people one loves, like family and partners. Ye explains that xìng fù also derives from what the related people have done for the experiencer. In Ye’s words, ‘xìng fù’ implies “certain expectations of what the other party does for one. Only when those expectations are met can the experiencer be described as truly being in the state of xìng fù” (2014, 203). According to Ye, “English does not appear to have words matching xìng fù in meaning” (2014, 203). The premise of these comparative studies of emotion terms and their English translations is that a systematic semantic study of the words which speakers of a given language use to express what they feel can be useful for multiple purposes. First, they can elucidate the emotional conceptions of the speakers of that language. Second, they highlight the salience of particular feelings for these speakers. Third, they can be used to compare different emotional conceptions, thereby highlighting the semantic differences between emotion terms typically used as translations for one another. One emotional sphere which lends itself well to this kind of contrastive analysis is that of shame and embarrassment, especially if one wishes to compare different linguistic conceptions of these two feelings derived from Western and Eastern traditions. The Japanese cultural world is one in which shame and embarrassment are considered as fundamental feelings, as various scholars have pointed out (Benedict 1946; De Mente 2004; Sakuta 1967). This paper pinpoints the conception of the feelings denoted by the Japanese terms ‘haji’ and ‘hazukashii’, presenting two NSM-based semantic explications of their meanings. NSM is a reduced language based on a set of sixty-five semantic primes intended to represent the irreducible semantic core shared by all languages. Despite having different realisations and different morpho-syntactic properties in different languages, the primes appear to be lexicalised in all sampled languages (see Wierzbicka 1996; Goddard 2008, 2011; Goddard and Wierzbicka 1994, 2002, 2014). The lexical exponents of the primes represent the mini-lexicon of NSM, which is presented in its English and Japanese exponents in the Appendix. NSM primes can be combined to form canonical syntactic constructions which appear to be available in all sampled languages and represent, therefore, a universal grammar. For example, the available evidence suggests that all languages allow the canonical clauses ‘I feel something good’ and ‘someone feels something bad’ (Wierzbicka 1999; Goddard and Wierzbicka 2014). The mini-language and syntax of NSM are used to formulate semantic explications for the meaning of words. NSM explications can consist of one or more lines, with single lines being referred to as ‘semantic components’. Despite being very limited in vocabulary and grammar, NSM explications offer four main advantages over dictionary definitions and other methods of semantic analysis. First, being phrased only in simple terms, they are intuitively clear. Second, they exclude the risk of circularity.2 Third, because the terms are available in all languages, the explications are directly cross-translatable and hence free from any terminological ethnocentrism. Fourth, the possibility of reading an explication in one’s native language fosters an insider’s perspective, which can be particularly useful for cross-cultural training. This methodology has proven particularly suitable for analysing the relationship between the meaning of words, including emotion terms, and the cultural reality in which they are embedded. NSM-based studies on emotion terms have highlighted fundamental differences in emotion conceptions across linguacultures which had not been identified in previous non-NSM- based studies of the same phenomena (Asano-Cavanagh 2002, 2014; Goddard and Ye 2014; Hasada 2003, 2006; Wierzbicka 1999; Ye 2006). In this paper, two semantic explications are proposed: one for ‘haji’ and one for ‘hazukashii’. I contend that the explications capture not only the meaning, but also the cultural aspects of these terms. In this section, the key components of the meaning of haji are discussed. They have been identified by analysing expressions and collocations in which this emotion term occurs, as well as various situations in novels in which different characters experience this feeling. The range of expressions and collocations in which haji occurs suggests that a fundamental component of its meaning is, in NSM terms, “someone feels something bad because this someone thinks like this: ‘people can know something very bad about me’”. The use of “public” in this sample phrase suggests that humiliation implies that people have come to know some bad things about someone. Similarly, the expressions ‘hajisarashi’ (恥さらし) and ‘uchi no haji o soto ni sarasu’ (内の恥を外にさらす), which literally mean ‘to expose one’s haji to other people’, also suggest a bad feeling associated with the fear that some personal bad things can be publicly known. There are various bad things about a person which can attract people’s criticism and cause feelings of haji. Novels have proven to be a useful source of data, as different situations are portrayed in different stories. Two modern novels, in particular, offer some excellent examples: one is Yama no oto  by Nobel Prize winner Yasunari Kawabata, and the other is Kinkakuji  by Yukio Mishima. The protagonists of each novel are very different from one another in terms of age, social position and life experiences; therefore, the situations in which each feels haji are different and offer fruitful comparisons. Interestingly, the original Japanese text says that Kikuko tried to have an abortion but failed, whereas the English translation only says that she “considered” it. Because of this, the situation in Japanese reads as more extreme than it does in English and reveals more information about the situation than does the English translation. How do you feel about your daughter, Father? You coward. Seeing your daughter into this, and not upset, not the least little bit. Swallow your pride and go for him yourself. Note that “pride” in the English translation is in fact “haji” in the original text, occurring in the aforementioned collocation ‘haji o sarasu’. This example is significant because the person experiencing haji is a member of a group (a family) and the bad things about her affect the rest of the group, too. This is an important component of the meaning of haji which will be further discussed in Section 4.3. She offered me her body, and I may say that it was a dazzlingly beautiful body. But I was completely impotent when it came to the point. […] I was ashamed at my impotence, but compared to my shame at having clubfeet, nothing else was worth mentioning. In the above extracts, the protagonists feel haji because of their personal failures and shortcomings. Considering the protagonists’ quite strong reactions to the feelings experienced (one tries to abort but fails, another one emphasises his disgrace and even distinguishes between worse and less worse haji), it seems plausible to hypothesise that they consider the personal things which they do not want people to know as not just ‘bad’, but ‘very bad’. Moreover, they seem to be even more scared of the consequences of public disclosure—that is, people’s negative evaluation and retribution for their actions—than the ‘very bad things’ themselves. In other words, they seem to be very concerned about their public reputation and its associated impact on their lives. Therefore, in generating an NSM explication of haji, it is necessary to complement the thought ‘people can know some very bad things about me’ with an additional component: ‘because of this, they can’t not think something very bad about me’. Evidently, haji is related to the key cultural concept of tatemae (建前), one’s public behaviour, as opposed to the other key cultural concept of honne (本音), one’s real intentions and feelings (Ikeno and Davies 2002). Considering this apparently overwhelming concern for one’s public reputation, one could assume that haji also plays a role in people’s behaviour, in that someone may decide not to do something to avoid being discredited and feeling bad. This cultural aspect of the meaning of haji is discussed in the next section. As De Mente (2004) writes, “while Christians, Muslims and others relied more on the threat of damnation and punishment by a vengeful god and powerful clergy, … the Japanese resorted to shame as their primary psychological sanction to keep people in line” (112). The behaviour of a person in Japan is regulated by social mores developed over time in Japanese society and is not evaluated solely or even primarily in terms of Western (and Christian) ethical concepts of good and bad. Any behaviour which is not socially attuned to these mores tends to be condemned by other people and become a source of haji. In order to avoid experiencing this feeling, people may restrain their behaviour. And things like speaking in such poor English in front of a genius, that was probably another example of extremely hajishirazu behaviour. I wasn’t hajishirazu enough to say that I was impressed with the colour of your eyes. In (6), the hajishirazu behaviour is the display of one’s incompetence or lack of knowledge in front of a more expert person, whereas in (7) it is crossing the boundary between the private (one’s thoughts) and the public (speech). The apparent influence of haji on an individual’s behaviour has been mentioned by Doi in relation to the sense of responsibility for public incidents in Japan. Doi explains that when a public incident occurs it is often the case that all the people connected to the incident resign, even if it is not actually their own responsibility. He writes that “in such cases the sense of solidarity with the group to which one belongs takes precedence over true responsibility” (1974, 56; see Gluck 2009 for a more detailed discussion of the concept of sekinin (責任; ‘responsibility’) in Japanese culture). Significantly, Doi suggests that people in Japan tend to resign because of their sense of haji and not because of a sense of guilt, as could be the case in linguacultures rooted in monotheistic values. In sum, the expressions and examples analysed so far give clues not only to the meaning of haji as an emotion term, but also to its cultural salience. If the hypothesis that haji can function as a behavioural restraint is seriously considered, then it seems plausible to suggest that haji is a culturally salient emotion in Japanese society (although not necessarily unique to it), and would suggest the need for English translations that reflected this. The other important component of the meaning of haji emerging from the extracts is the transmission of the bad feeling experienced by an individual to the group of people to which the individual belongs. As well as revealing a socially specific cause for haji, this example suggests that the feeling of haji can transcend generations, as it can be felt because of some bad things done by members of one’s group in the past. The generational transfer of haji is also inherent in the expression ‘shi ni haji’ (死に恥じ; lit., ‘haji in death’). This phrase stresses the importance of having an opportunity to redeem oneself from haji before death if at all possible, otherwise the dishonour will be transmitted to one’s descendants. Shame feelings are not confined to the particular individual who has committed a shameful action or who is the target of ridicule. His shame is vicariously experienced by others who share the same status, because what is shamed is not an individual but the status itself. Status is derived from two sources, i.e, from membership in a group and from the state of belonging in a social category. Shame is therefore shared by Ego either when the shamed person is looked upon as a representative of the group of which Ego is a member or when the shamed person belongs to the same social category as Ego does. In Japanese society, people are primarily group-oriented and give more priority to group harmony than to individuals. Most Japanese consider it an important virtue to adhere to the values of the groups to which they belong. […] In Japan, group members create their own social codes of behaviour, and group consciousness has become the foundation of Japanese society. The authors’ point is an important one, as they explain that in Japan an individual’s actions and occurrences not only affect themselves, but also have implications for the whole group to which they belong. De Mente has pointed out that a person committing a bad action is likely to be ostracised from the group, and once this happens it can be very difficult to become part of new groups (2004, 112). This is exactly what happens to the protagonist of the novel Colourless Tsukuru Tazaki and His Years of Pilgrimage by Haruki Murakami . Tsukuru is believed to have raped one of the girls in a group of which he was once part, and for this he is excluded forever by his fellows. Entire chapters of the novel are centred on Tsukuru’s depression and desire to die after his exclusion (Murakami 2014). The risk of being responsible for bringing haji upon the group due to one’s actions, therefore, can be seen as another component of the thought provoking the bad feeling. That is, someone feels something bad because they fear that some other people will feel the same and that the consequences visited by the group upon the individual will be painful. This component can be expressed in NSM terms as ‘some people can feel something bad like I feel’. In the next section, the proposed semantic explication for haji is presented in its entirety. The first two components of this explication follow the template used for other NSM explications of emotion terms (Wierzbicka 1999; Goddard and Ye 2014) and capture the idea that haji is a bad feeling associated with a particular way of thinking. The cognitive scenario contains a number of components, the most important capturing the idea that one’s very bad behaviour (or occurrences that one is associated with) can make some people—those belonging to one’s group—feel haji. As a consequence, these people will then either seek to distance themselves from the person or will suffer similar consequences. Not only is this a crucial difference from the English ‘shame’, to be explicated in Section 6, but it also captures the idea of haji as behavioural deterrent. In this section, the meaning of the emotion term ‘hazukashii’ is discussed. In this case, too, the semantic components proposed are based on an analysis of various situations and behaviours which are considered hazukashii, and of the reactions of people experiencing this feeling. In this case, the bad thing about the protagonist which she does not want other people to notice is her incapability of controlling her feelings. It is significant that Yoshimoto here highlights the physical symptoms (blushing) caused by the feeling. Hiiragi and I had arranged to meet, after he got out of school, in a coffee shop on the fourth floor of a department store. In he came, wearing a sailor-style girl’s high school uniform, complete with middy blouse and skirt. The truth is I was mortified, but he acted so natural that I managed to feign calmness. My mother must have said something to him. I was embarrassed. “It’s amazing how good this is” […] . “Isn’t it?” said Hiiragi. “Yes, it’s delicious. So delicious it makes me grateful I’m alive,” I said. So delicious I was moved to praise extravagant enough to make the counter person blush. I thought it was hazukashii, but Sakuma told me, “Don’t worry! Your name’s not written on it!” and accompanied me to the letterbox of his house. Considering all these extracts, it can be concluded that the bad feeling of hazukashii is generated by the fear that people can think something bad about a person doing something that is outside normative behaviour modalities— in these cases, strange or immodest actions. This contrasts with haji, which is generated by the fear that people can know some personal bad things. In fact, in most of the examples of hazukashii examined above, there are no personal bad things which people can know. Rather, the key element is that the experiencer does not want to develop a reputation as someone who does certain things, because they expect they will suffer negative consequences. This thought can be captured with two semantic components: one, ‘if people know this, they can think something bad about me’, and two, ‘I don’t want this’. Significantly, the phrasing of the first component is different from the phrasing of the explication for haji in that people’s negative judgement is taken as a possibility (‘people can think’), not as the inevitable consequence of the public disclosure of one’s bad things (‘people can’t not think’). Furthermore, the component does not state that there is something ‘bad’ which people can know. However, the two proposed components, ‘if people know this, they can think something bad about me’ and ‘I don’t want this’, capture only part of the cognitive scenario provoking the hazukashii feeling. There is another component in the meaning of this term to be discussed in the next section. The fear of people’s negative judgement of oneself is also related to the fact that in a society, there are both explicit and tacit rules of behaviour guided by specific cultural values. The examples analysed so far suggest that a hazukashii situation is always considered bad, even without being inherently negative (as in the case of public praise), and is likely to attract criticism. More importantly, the protagonists of the novels who find themselves in a hazukashii situation seem to know well that such situations are not in line with the social and/or ethical code and seem to agree with people’s bad thinking about them, or at least understand what the consequences will be for their actions. “What?! Don’t lie to me!” Sōtarō said in a loud voice. In the old days I loved him for his frankness, but right now it struck me as obnoxious, and I was only mortified. The fact that Mikage herself considers Sōtarō’s attitude as urusai (うるさい; loud and annoying) suggests that she, too, thinks that to speak in a loud voice is bad, so she would not be surprised if people thought something bad about her because of her friend. Arguably, the same applies to the other situations which she considers hazukashii, for example her male friend wearing a sailor suit. If one also considers the behaviour of the people in the examples analysed, this hypothesis becomes even more plausible. In (10), Kikuko explicitly says that even if she had known about the lover’s baby before, she would not have talked about it. In (11), Mikage gets off the bus so that people cannot see her cry. The protagonists’ efforts to avoid people thinking something bad about them due to the hazukashii situation they find themselves in suggest that they are aware that such situations are considered bad by other people. Taking these elements into account, another semantic component can be posited for the cognitive scenario generating the bad feeling: ‘if I think about it, I can’t not think the same’. In this and in the previous section, I have discussed the key features of the meaning of hazukashii; in the next subsection I will present the complete semantic explication. Both this explication and that proposed for haji try to pinpoint two different emotion conceptions from the perspective of Japanese speakers. As will be discussed in the next section, these conceptions are culturally specific and differ from the feelings evoked in the English translations of these terms. These examples illustrate that apparently similar emotion terms of different languages can actually be semantically different: while some semantic components may be shared, other components are likely to be specific to the meaning of one term only. In her analysis of ‘shame’ and ‘embarrassment’ (as the nominal form of ‘embarrassing’) , Wierzbicka (1999) has shown that these two concepts represent two different feelings for an English speaker, highlighting in particular how— in Wierzbicka’s conception of modern Anglo culture—‘embarrassment’ has expanded at the expense of ‘shame’. Wierzbicka has emphasised the difference between the current meaning of ‘shame’ and its meaning in Shakespeare’s time. In Shakespeare’s language, ‘shame’ was similar in meaning to ‘chastity’ and was considered a necessary, positive value. It also used to be associated with blushing.9 In its current meaning, by contrast, ‘shame’ always carries a negative connotation (Wierzbicka 1999, 110–11). A key component of the meaning of ‘shame’ in contemporary English, as identified by Wierzbicka, is a person’s concern that people can know some bad things about him/her, and that because of this people will think something bad about him/her. The personal bad things can be bad actions or behaviours, weaknesses or shortcomings, or even something bad about one’s family origins. This component represents an important difference between the current and the former meaning of ‘shame’, for which Wierzbicka proposes the additional semantic component, ‘I don’t want other people to know something bad about me’. As the explication shows, the English ‘shame’ in its old meaning was more similar to one aspect of the current Japanese haji, as people’s behaviour appears to have been constrained by fear of the consequences of public exposure and the concomitant feeling of humiliation. By contrast, while the current meaning of ‘shame’ shares some components with the meaning of ‘haji’, its invariant meaning does not contain a component capturing the idea that the bad feeling can be transmitted to people in one’s group.10 There are, of course, contexts in which the feeling of shame is shared with others, but this is not always the case; therefore, this component cannot be posited for the invariant meaning of the term. reflected a social climate in which other people’s view of the individual was expected to act as a powerful means of control: it was expected that people wouldn’t do certain things because they wouldn’t want other people to know and to think bad things about them. The modern meaning of shame, however, does not reflect a kind of society where “other people’s” anticipated view of us can be expected to act as a powerful regulator of our behaviour. In the modern Anglo society—as reflected in the mirror of semantics—other expectations and other concerns have come to the fore, as reflected, in particular, in the rise of the concept of embarrassment in modern English. As for ‘embarrassment’, Wierzbicka has suggested that this is typically associated either with a breach of social conventions or when unexpected bad things happen to someone (for example, one’s stomach producing noises, trousers splitting in public, or being praised in front of other people). Furthermore, in Wierzbicka’s view one does not have to be the actor of the action, but can feel something bad when other people break conventions. Significantly, the same situations are not causes of ‘shame’. Wierzbicka has also stressed that embarrassment often requires the physical presence of other people witnessing that something is happening to someone. To be seen, however, is not always necessary for a person to feel embarrassed. The most important component of the meaning of ‘embarrassment’ is a person’s fear that people will think about him/her in a way that this person does not want to be thought about. This feature is captured by Wierzbicka with the component ‘I don’t want people to think about me like this’. The idea that people come to know something about a person which could make them think about this person in a way which he/she does not want to be thought about is shared with the meaning of hazukashii. However, an important difference between the two terms lies in the expected way of thinking. In the case of ‘hazukashii’, it is expected that people will think something bad about a person; whereas, in the case of ‘embarrassment’, people’s perception of the person is not expected to be necessarily bad, but simply different from how one would want to be thought about in that specific situation. The semantic differences between ‘haji’ and ‘shame’, and between ‘hazukashii’ and ‘embarrassment’ imply (i) that English and Japanese speakers experience different feelings when using these terms that are translated as equivalents, and (ii) that Japanese speakers within Japanese society definitely do not feel ‘shame’ or ‘embarrassment’ as these terms are used in typical English speaking contexts, as neither the sociocultural context nor the value systems from which the words derive are the same. The semantic differences between ‘haji’ and ‘shame’ and between ‘hazukashii’ and ‘embarrassing’ undermine the assumption that these terms can be directly and exactly translated into English and Japanese. Considering the meanings of both ‘shame’ and ‘haji’, how could one ever determine which term denotes the universal emotion, and why would one try? The point is that neither can be universal because they are both semantically different from their closest correlate, as this paper tries to show. Currently, there is no evidence of a worldwide conception of a feeling called ‘shame’ on which people from all cultures agree exactly. In a paper by Kimball Romney et al. (1997), the authors tried to prove the existence of universal emotions comparing precisely English and Japanese. They tried to measure the semantic structure of various emotion terms in English and Japanese through a mathematical model, asking native speakers of both languages to locate various emotion terms on a Euclidean graph. According to their analysis, the same emotion located in the same place both by an English and a Japanese speaker would reflect shared cognitive representations of the semantic structure of a given term, which would prove the universality of that concept. By contrast, an emotion term located in completely different places by English and Japanese speakers would reflect a conceptual difference in these two languages. One emotion term which turned out to be conceived quite differently according to this study is ‘shame’. The authors observe that, in comparison with the Japanese word ‘hazukashii’, the location of the English term ‘shame’ tends more towards the “unpleasant” side in the graph where other “negative” emotions are located (1997, 5490). However, they do not clarify what they mean by “unpleasant” or “negative”, and in what ways ‘shame’ is “more unpleasant” than ‘hazukashii’. They do recognise that the different locations of this feeling reflect a difference in the meaning of the words. At the same time, they suggest that, although their Japanese participants translated ‘hazukashii’ both as ‘shameful’ and ‘embarrassing’, the Japanese concept is closer to ‘embarrassing’ than ‘shameful’ (1997, 5490), which is the hypothesis put forward in the present study, too. The position taken in this paper endorses the NSM researchers’ opinion that a comparison between different, culture-specific concepts cannot be based merely on native speakers’ intuitions (as in the study conducted by Kimball Romney et al. ), both because native speakers are not fully representative of their culture and because they can be influenced by how they would express a concept in another language (e.g., English or Japanese). More importantly, the approach to the present study is that a semantic analysis of a cultural concept, including emotion terms, cannot be made using the technical jargon of one particular language (English, and by inference Japanese), but only using a methodology based on universal concepts like THINK, FEEL, KNOW and DON’T WANT which allows the capturing of an indigenous perspective and makes it accessible to linguacultural outsiders. The present analysis pinpoints how the terms haji and hazukashii are conceived by Japanese speakers and identifies the cultural salience of these two emotion terms in Japanese society. An element which has emerged as both semantically and culturally central to the meaning of both terms is the apparent pressure of society on an individual’s behaviour. In both cases, the bad feeling seems to derive from the fear that one’s actions may be in contrast with social norms which are context-specific. If this is the case, this will attract people’s criticism, and produce consequent effects that might include damage to the actor’s reputation. This element appears to be consistent with what scholars have identified as a key cultural value in Japan—essentially, the importance of group consciousness—and its inherent implications, which include a greater emphasis on shared responsibility. 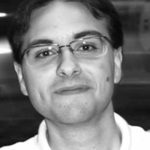 Another key point made in the discussion is that a clear understanding of how an emotion is conceived in a linguistic and cultural environment can lead to an awareness of the specificity of the context and how it influences that conception, and consequently, to a less homogeneous idea of emotions themselves. Once again, the semantic differences between emotion terms of different languages make conceptual differences more evident. Once semantic differences are identified, I have argued that these must be explicated using simple and cross-translatable words so that the resulting explications are recognisable to both speakers of the language being investigated as well as speakers of the language of investigation. The explications presented in this paper are directly translatable into Japanese, and therefore can be both tested against the intuitions of Japanese native speakers and be successfully used for cross-cultural training. To conclude, the present study is certainly limited in scope and confirms the need for further research on such a long-debated topic. What the paper has hopefully demonstrated is that the methodology of NSM can serve as an optimal tool in translation and in cross-cultural training, and can contribute to the study of the relationship between language and culture. I am deeply grateful to Anna Wierzbicka, Cliff Goddard, Adam Broinowski, Elicia O’Reilly and all my Japanese friends for the comments and suggestions received. Asano-Cavanagh, Y. 2002. “How to Be Indirect in Japanese: A Cultural Script Approach.” RASK Internationalt tidsskrift for sprog og kommunikation [RASK International Journal of Language and Communication] 17: 23–51. ———— . 2014. “Japanese Interpretations of ‘Pain’ and the Use of Psychomimes.” International Journal of Language and Culture 1 (2): 216–38. Asano-Cavanagh, Y. and G. M. Farese. 2015. “NSMセマンチクプライムのチャート”. Accessed 14 July, 2015. http://www.griffith.edu.au/humanities-languages/school-languages-linguistics/research/natural-semantic-metalanguage homepage. Benedict, R. 1946. The Chrysanthemum and the Sword. Cambridge (USA): Houghton Mifflin. De Mente, B. L. 2004. Japan’s Cultural Code Words. North Clarendon: Tuttle Publishing. Doi, T. 1974. The Anatomy of Dependence. New York: Kodansha International. Gluck, C. 2009. “Sekinin/Responsibility.” In Words in Motion: Toward a Global Lexicon, edited by C. Gluck and A. Lowenhaupt Tsing, pp 83–108. Durham and London: Duke University Press. Goddard, C., ed. 2008. Cross-Linguistic Semantics. Amsterdam: John Benjamins. ———— . 2011. Semantic Analysis: A Practical Introduction. 2nd edition. Oxford: Oxford University Press. Goddard, C. and A. Wierzbicka. 1994. Semantic and Lexical Universals: Theory and Empirical Findings. Amsterdam: John Benjamins. ———— . 2002. Meaning and Universal Grammar: Theory and Empirical Findings. Amsterdam: John Benjamins. ————. 2014. Words and Meanings. Lexical Semantics Across Domains, Languages and Cultures. Oxford: Oxford University Press. Goo Jisho [Goo 辞書]. n.d. [a]. ‘Haji’ [恥]. Accessed 10 July, 2015. http://dictionary.goo.ne.jp/thsrs/4108/meaning/m0u/恥/. Goo Jisho [Goo 辞書]. n.d. [b]. ‘Hazukashii’ [恥ずかしい]. Accessed 10 July, 2015. http://dictionary.goo.ne.jp/jn/176287/meaning /m0u/恥ずかしい/. Hasada, R. 2003. “Cultural Scripts on Japanese Attitude Towards Emotion.” Tokyo University of Foreign Studies Bulletin of Japanese Language Center for International Students 29: 27–67. ———— . 2006. “Cultural Scripts: Glimpses Into the Japanese Emotion World”. In Ethnopragmatics: Understanding Discourse in Cultural Context, edited by C. Goddard, 171–98. Berlin: Mouton de Gruyter. Ikeno, O. and R. Davies. 2002. The Japanese Mind. Boston, MA: Tuttle Publishing. Kachru, B. 1985. “Standards, Codification and Sociolinguistic Realism: The English Language in the Outer Circle”. In English in the World: Teaching and Learning the Language and Literatures, edited by R. Quirk and H. G. Widdowson, 11–30. Cambridge: Cambridge University Press. Kawabata Y. [川端 康成]. 1957. Yama no oto [山の音]. Tokyo: Shinchōsha [新潮社]. ————. 1970 . The Sound of the Mountain. Translated by E. G. Seidensticker. London: Secker and Warburg. Kimball Romney, A., C. Moore and C. Rusch. 1997. “Culture Universals: Measuring the Semantic Structure of Emotion Terms in English and Japanese.” The National Academy of Sciences of the USA 94: 5489–94. Kotonoha Corpus of Japanese. 2009. Accessed 14 July, 2015. http://www.kotonoha.gr.jp/shonagon/. Lebra, T. S. 2007. Identity, Gender and Status in Japan. Folkestone: Global Oriental. Lutz, C. 1985. “Depression and the Translation of Emotional Worlds.” In Culture and Depression: Studies in the Anthropology and Cross-Cultural Psychiatry of Affect and Disorder, edited by A. Kleinman and B. Good, 63–100. Berkeley: University of California Press. Mishima, Y. [三島 由紀夫]. 1979. Kinkakuji [金閣寺]. Tokyo: Shinchōsha [新潮社]. ————. 1990 . Haru no yuki [春の雪]. Tokyo: Shinchōsha [新潮社]. ————. 2000. Spring Snow. Translated by M. Gallagher. London: Vintage. ———— . 2001 . The Temple of the Golden Pavilion. Translated by I. Morris. London: Vintage. Murakami, H. 2014. Colorless Tsukuru Tazaki and His Years of Pilgrimage. Translated by P. Gabriel. London: Harvill Secker. Sakuta, K. [作田 啓一]. 1967. Haji no bunka saikō [恥の文化再考]. Tokyo: Chikuma Shobō [筑摩書房]. Wierzbicka, A. 1996. Semantics: Primes and Universals. Oxford: Oxford University Press. ————. 1999. Emotions Across Languages and Cultures. Cambridge: Cambridge University Press. ————. 2006. English: Meaning and Culture. Oxford: Oxford University Press. ————. 2014. Imprisoned in English. Oxford: Oxford University Press. Ye, Z. 2006. “Why Are There Two ‘Joy-like’, ‘Basic’ Emotions in Chinese? : Semantic Theory and Empirical Findings”. In Love, Hatred, and Other Passions: Questions and Themes on Emotions in Chinese Civilization, edited by P. Santangelo, 59–77. Netherlands: Koninklijke Brill. ————. 2014. “The Meaning of ‘Happiness’ (xingfu) and ‘Emotional Pain’ (tongku) in Chinese”. In International Journal of Language and Culture 1 (2): 194–215. Yoshimoto, B. [吉本 ばなな]. 1988. Kitchin [キッチン]. Tokyo: Fukutake Shoten [福武書店]. ———— . 1993 . Kitchen. Translated by M. Backus. New York: Washington Square Press. ———— . 2006. Jinsei no tabi wo yuku [人生の旅をゆく]. Tokyo: Nippon Hōsō Shuppan Kyōkai [日本放送出版協会].